Retirement wasn’t in the cards for Brenda Wilson. When her family realized there was a serious lack of services for children, teens and adults on the autism spectrum, and her grandson, Ryan, was not getting the help he needed, Brenda sprang into action. She has devoted the past decade of her life to founding and maintaining the Ryan Woods Autism Foundation and two years of the 10 to after-school program to give these children a place to come and just be kids without the therapy, clinicians, psychiatrists, psychologists. They all may require these services but RWAF is a safe and warm environment where they can come after school and JUST BE KIDS! You mentioned that you saw signs in your grandson very early on that indicated something was a little different about him. What did you see? My grandson, Ryan, who turns 12 years old on January 17, 2013 used to stare blankly into my eyes as if he was looking straight through me when I hold him on my lap face to face. He rocked back and forth hitting his head on the walls of my home and his parents’ home until we stopped him. His apetitite was picky and we thought he would never eat a balanced meal and yet he did not look deprived of food. His sleeping patterns were somewhat off which made it hard for mom who had to go to work early and travel one hour to Pfizer in Groton, CT and an hour back and Dad who shared in the parenting quite dangerous not getting enough of sleep because of the requirements of climbing electricity poles to repair cable wires in the heat and cold. I always held, cuddled him, squeezed him, kissed him (things some children on the spectrum absolutely will not allow). I did and still do this because I wanted to no matter what establish effection and the feelings that he could always count on being loved. There has never been enough of Ryan to go around. He is my only grandchild and my joy! Why try to set up a foundation versus just taking care of your grandson? Why was the need to incorporate helping others children important to you? I have been told that I am the most selfless person in my family. I never save any for myself. I believe that when you give good karma you receive good karma (directly or indirectly). And, helping others has always been very important to me. How else would I be able to help Ryan in this case if I never opened up to others going through what we were just beginning to go through? I googled and found that there was no autism foundation in the state of Connecticut anywhere that provided the after-school services for teens or day care for the little ones. Yes, we are working on a day care licensed to close the gap of 6-12 year olds and even the pre-kindergarteners. When I started the stats were 1:166; they are 1:77 and 1:54 boys on the autism spectrum and growing. These stats are put out by the Center for Disease Control. However, it boils my blood to hear someone refer to this disability as a disease because it is not a disease. You cannot catch it. It is my belief that it is genetic and environmental. Brenda, what kind of unique services does your organization provide for autistic children? We provide social/life skills; communication; recreational therapy; music therapy; boundaries; personal hygiene; building relationships that we hope last forever in our after school program that runs from 2-6pm. We also offer our families a monthly support every third Saturday of each month. This month January 19, 2013 from 10:00 – 12:00 noon we will host the Commissioner’s office – State Department of Education. There will be experts available to answer questions of our parents regarding services and the lack of services needed inside and outside the classroom setting to help make their children successful as they transition either with an IEP diploma or general education diploma into work life, college life or vocational life. Aren’t there government requirements that schools have to provide certain services for children who have a need? There are federally-mandated requirements that schools must adhere to (some schools do and others do not). When they do, the majority of schools minimally provide these services unless they are met with families who know their rights and fight for them and/or due process to get their children more occupational therapy, more language therapy, more physical therapy and so on. With the budget cuts, unfortunately, it appears education seems to be the on the top 10 list in USA when children in other countries have longer days and years of study and are tearing us up in the math and sciences. Why are these specific needs not being met in regular schools? I may have answered your question above. However, again budgetary cuts with respect to the “right” educators, highly-trained educators who can teach children with autism, Asperger’s and other special needs children and the child not even be aware they are being taught differently — but they get it and they succeed and become the next Bill Gates, Warren Buffet, engineer, architect, musician, artist, poet, screenwriter. There is a big difference between the needs of young children and the needs of teens. Your program is designed to help the autistic child at a variety of ages. Can you talk about the needs of the teenagers? Teens on the autism spectrum oftentimes are alone at home, in group-home environments; residential treatment settings where behaviors of isolation form and grow. I was that teen and was neotypical, raised by a grandmother, no neighboring friends and pretty bullied and isolated at school. I was extremely mature and pretty much a scholastic geek while others were involved in cheerleading, attending school dances — these were things my grandparents did not allow. I pretended I had a classroom at home and played school with my imaginary friends. 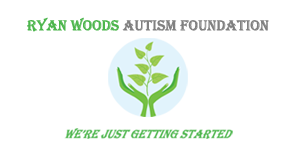 When you decided to start a foundation and create services for autistic children, what was the first thing that you did? I wrote my “bones” (business plan) and sought out the schools and community to determine the need. We opened inside of the high school in two of the special education classrooms to get some idea of the climate and what the teachers and students go through on a day-to-day basis. We lasted one full school year and finally had two kids who enrolled. I applied for my 501(c)(3) and started to inquire about funding through state agencies and local government. It was very dark and many days I felt as though the weight of the world was on my shoulders (and still do) but with the help of my son, now Program Director and father of his nearly 12 year old son with autism, kept pushing together. We formed a Board of Directors (planning committee initially called) and started holding monthly meetings. I have since discovered that discovering special people to work and give of their time to be active on your Board of Directors is a job in itself. Is it challenging raising funds to stay in operation? YES! I thought I would have to close our doors in October of last year. But our landlord lowered the rent and it has helped us to stay. I apply for local grants. We just received a national grant of $10K from Autism Speaks. This made the news and newspapers and we are hoping that Wal-Mart and other private donors will continue to repeat their gifts of love and kindness. We charge tuition but families in central Connecticut are either unemployed or underemployed and cannot pay out of pocket. So, we rely on therapists and clinicians to convince the state case managers and if a parent gets lucky with a school PPT meeting to pay for their child to attend we are able to use this as revenue to keep the operational expenses, snacks, equipment upgrades, supplies the kids need along with two part-time staff members paid in order to keep the doors open. We have always “bridged the gap” as a foundation to keep the kids we have managed to bring in. What has been your greatest obstacle in all of this? Funding to keep the kids coming, staff paid and the doors open. What needs to change in terms of medical insurance companies’ and the state’s attitude and interest? Autism is a disability. Insurance companies and the state / national politicians MUST understand that socialization / life skills are two common denominators for children on the spectrum and without these two components our children will be disabled forever, thus relying on taxpayers to enable them. This disability is developmental. These kids can learn with the right supports. They are not mentally retarded. They are gifted in so many ways. RWAF was approved by Medicaid for Husky and they erred and took our provider credentials in the summer of 2012. We had accepted many students into our program who we had to pay for and keep because how do you explain to students who have been told they are approved to attend your summer program and all of the frills that go with it and take it away? Thanks to people in the community who called in to sponsor a child and some sponsored two. We pulled it off but it was $52K that RWAF had to eat and was a major error on the part of DSS (Department of Social Services – Commissioner Roderick Bremby and his staff). After WFSB televising it, many letters and e-mails, we received an apology from Bremby. Yes, New York, California and Boston. What kind of work did you do during your working years and were the skills that you developed easily transferable to what you are doing now? I worked 46 years in the private sector as a human resources administrator and supported fortune 500 companies at the senior-level administratively. The business, marketing and sales helped me a great deal to write and meet with community leaders. What is the ultimate goal? Where is the Ryan Woods Foundation in ten years? I would like to be one of the State of Connecticut state-approved private schools for autism and other developmental disabilities (i.e., Ben Haven, Wallingford, The Gengras Center). We have the space where we are. I need the staff, funding and the rest will follow. The only limit put on humans with autism are the ones WE put on them. Let’s change our perspective. June 19, 2014 tomaca Comments Off on Time to Upgrade?